Compare Raw NMEA and Decoded GPS Data and demonstrate accurate decoding. Calculate Position, without GPS, and demonstrate an accurate Relative Position within 10% and 10 degrees using hand measured position on ground. Below is the output of Raw NMEA string and the decoded data. The upper window is the Raw NMEA string that the GPS was giving. The lower window is the decoded output that was sent over the radio to the laptop. Notice how close the GPS was. 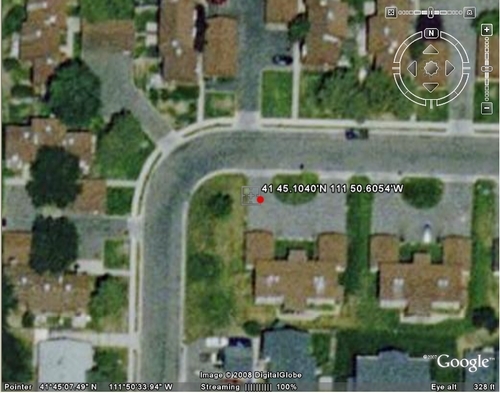 The red dot was the actual position of the robot. You can get a sense of proportion by comparing the size of some of the cars. The GPS position was conservatively within 4 meters of the actual position. 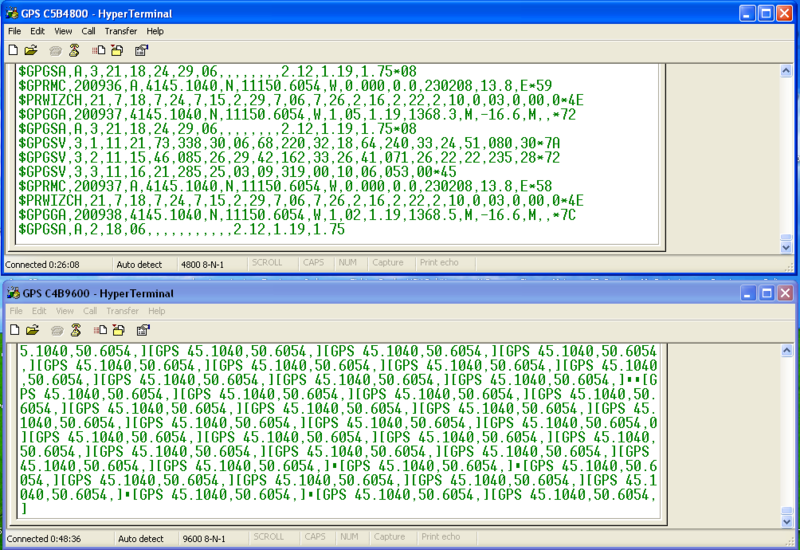 Below is the first decoded compass data. 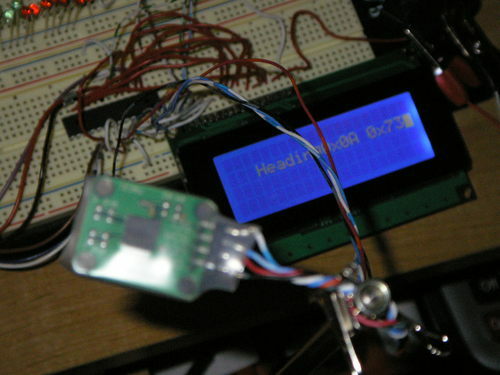 The compass is interfaced with an ATMega8 and output is displayed on an HD44780 LCD screen. The data was originally displayed in hexadecimal, but I later wrote a function for the LCD that would display the data in degrees to the first decimal place.